For over 40 years, BM Engineering has been supplying distilling equipment to businesses in the Scottish Islands. Island distilleries are home to some of Scotland’s finest scotch whiskies, which means the demand for quality valves and instrumentation is high. BM Engineering is proud to supply distilleries in the Scottish Islands, but also cheese dairies and breweries. We select our products from the most prestigious brands and deliver to whisky distilleries, cheese dairies and breweries to all Islands and on a next day basis. Unitech butterfly valves are popular within the distilling sector; not just in Scotland, but nationwide. The split bodied PTFE seated butterfly valve is a particular favourite within this sector and now features in many successful distilleries. This type of distilling equipment in the Scottish Islands has now been successfully installed in both manual and automated variants for applications such as pot ale, spent lees, low wines and ethanol. Unitech butterfly valves are used for Atex zone 1 and 2 as well as non hazardous applications. BM Engineering serves various sectors in the Scottish Islands and surrounding areas, including brewing, food and beverage, dairy and pharmaceutical. We supply valves that are tailored to various niche industries and our products are carefully selected to suit each one. We are proud to provide distilling equipment to the Scottish Islands. We supply, manage and deliver Unitech butterfly valves and various branded automation products to whisky distilleries in the Scottish Islands, such as Islay, Arran and Jura. 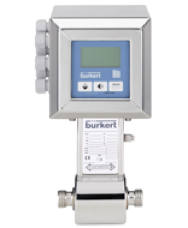 An approved partner for many years, fluid control instrumentation from Bürkert include the FLOWave SAW-Flowmeter Type 8098 valve, which has been used in the pharmaceutical sector for decades. We also supply Bürkert for use in the renewable energy sector, including ball valves, knife gate valves and v-ball control valves. Our process automation services in the Scottish Islands are engineered to suit various business types. BM Engineering works alongside many trusted brands to supply distilling equipment and automation solutions to the Scottish Islands. Our long-standing relationships with our partners; Bürkert, Valsteam ADCA, Inoxpa, Leengate Valves, Orbinox, Max Air Technology, Untitech SRL and Zwick Armaturen, allow us to bring you the very best engineering equipment at the best prices for your business. This is one of the reasons BM Engineering has become such a trusted supplier of distilling equipment and process automation solutions in the Scottish Islands. At BME, we provide only the very best knife gate valves and steam equipment across Aberdeen. Within your engineering business, we understand the need for consistency and smooth, fluid processes. As a result of this, we have developed strong relationships with our brand partners and are proud to work with Valsteam ADCA, Bürkert, Inoxpa, Leengate Valves, Orbinox, Max Air Technology, Unitech SRL and Zwick Armaturen – some of the most prestigious valve companies in the industry. For more information on any of our services, please call 0141 762 0657 or email sales@bmengineering.co.uk to speak to one of our team. Thanks to growing demand for craft ales, the brewing industry has seen a boom over recent years. As a result of this, and a self-confessed passion for beer, Bürkert has cultivated brewery-specific mechanisms to ensure the brewing process is as smooth as it can be. The food and beverage industry demands a level of hygiene that far outweighs any other sector, so the supply of steam equipment in Aberdeen is vitally important. BME takes on the challenge of serving every industry, with valve quality that is second to none. Aberdeen’s dairy, pharmaceutical and renewables services are also supported by BME. BME provides instrumentation services across numerous industries in Aberdeen. We serve the brewing, dairy, food and beverage, pharmaceutical and renewables sectors. Each industry requires a slightly different approach to their instrumentation package, and BME offers a tailored approach to each sector. We understand that some applications require specialised equipment to ensure optimal productivity. Therefore, we can guide you towards the best valve selection. From our warehouse in Glasgow we are able to supply actuated packages for a variety of industries. We are able to assemble, size, test and custom build an actuated package to fit your specific applications.